An article in a men’s magazine once suggested an exercise regimen that consisted of a walk to the local record store to buy one Bill Evans CD every day. That way you would not only be in better shape, but you would also have a great collection of piano jazz as well. 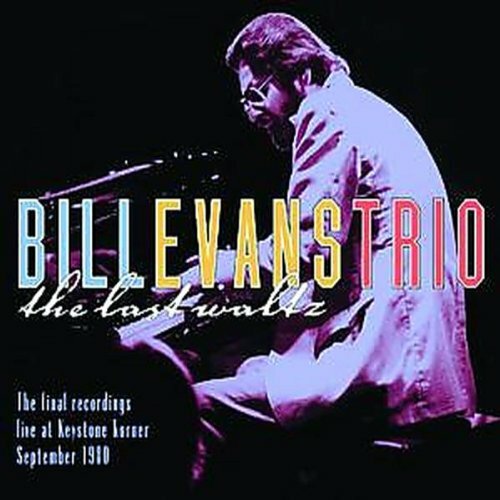 It’s an established fact that Evans revolutionized the sound of the piano trio; you can bet that every pianist who ever worked the hotel lounge circuit has worn out the grooves listening to his records. However, unlike the cocktail tinklings of his admirers that end up little more than background music, Evans demands to be heard, seducing you with his indelibly emotional playing. Most aficionados would agree that his trio records with Scott LaFaro on bass are his best, and the natural place for a novice to start. 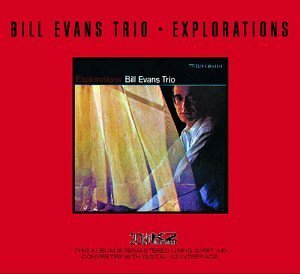 Explorations is the second outing by this trio and took almost a year to record after Portrait in Jazz, the album that won him such great critical acclaim. Evans conceptualized the trio as exactly thata trio, where each member contributed equally to the whole. It works marvelously: LaFaro’s nimble bass playing and Motian’s drumming provide a relaxed, rhythmic underpinning for Evan’s graceful chords. The trio works magic here, breathing fresh air into standards such as “How Deep and the Ocean?” and “Beautiful Love” and creating the illusion that these songs were written just so someone like Evans could play them. The highlight of the album is “Elsa,” which is one of the most beautiful piano ballads on record. Many would point to the later live recordings at the Village Vanguard as the essential Evans, but this earlier studio recording is quite a treat as well.